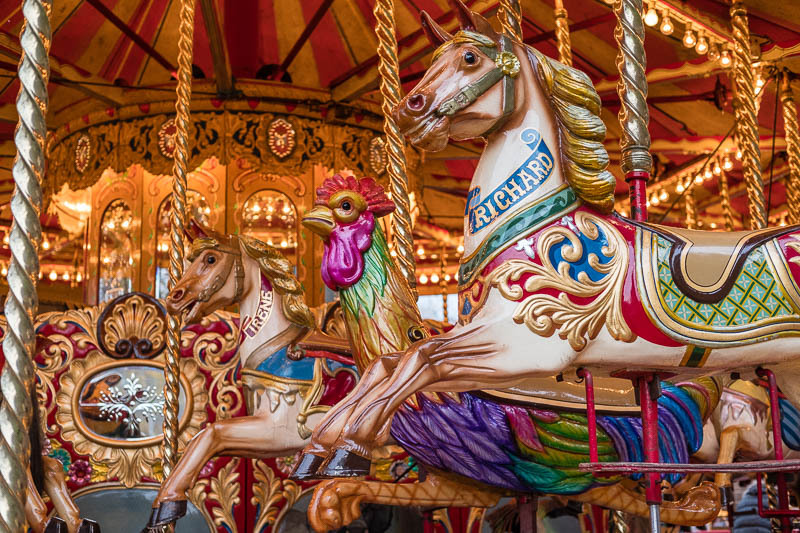 Do we ever grow out of being drawn to the bright and gaudy colours of the carousel? The music is the same as it was over a 100 years ago. The horses always look so grand, not so sure about the cockerel though, which one do you want to ride? I would go for one of those handsome horses every time. A horse! A horse! Not that slightly grumpy looking rooster. I'd go for the rooster. It's unique. The answer to that question is, no we don't. I love them - I always ride a horse though!